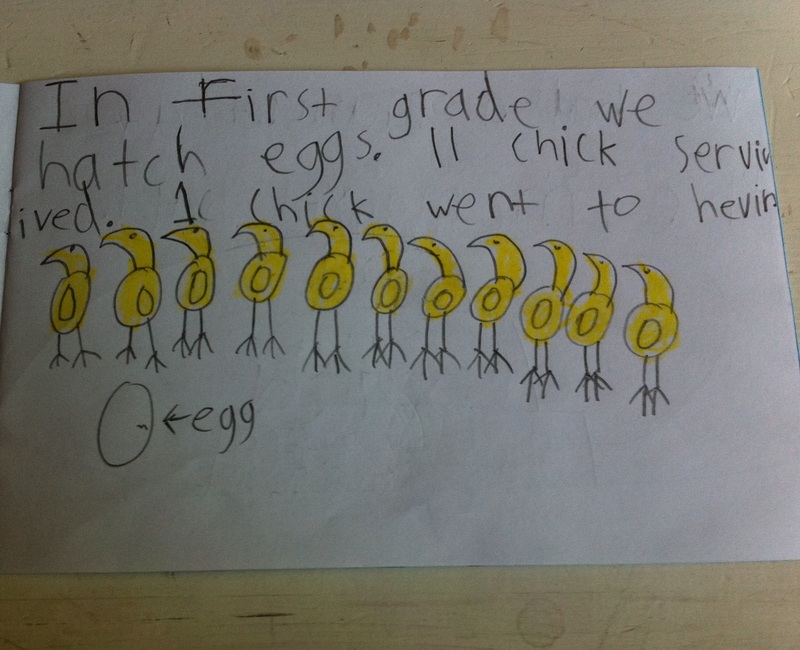 Owen had a great teacher this past year & in his class they got 12 chicken eggs that they watched daily until they hatched & then the chicks were taken to a local farm. This is a page in one of his books that he wrote & illustrated for school. What a great boy, that little Simon. I love the wonderful insight he has.